All Events › WHO WILL PROVIDE? 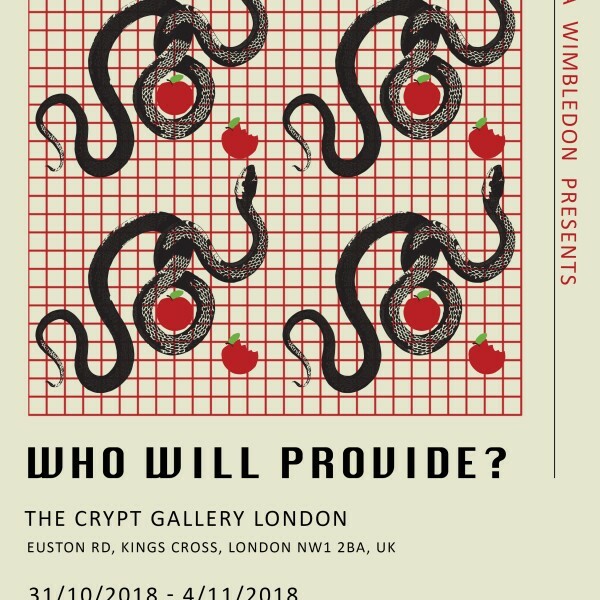 Artists from across the globe explore themes relating to charity and its place in our world today with a group exhibition “Who will provide?”. Presenting a collection of site-specific works from a diverse group of artists, the show attempts to respond to its unique setting by reactivating a piece of history through its archives from the Camden Local Studies and Archives Centre. The exhibition has been designed around the “Wish List” (a document from 1995) which outlined the desired purpose for the building, which included shelter for the homeless, space for students from nearby universities, and a hub for community activities. All works take into account other elements of the site, from its religious connection as a place of worship, to its spirituality as a burial site, as well as its physical qualities as a dark underground space often unknown to those in the local community. With over 35 artists whose work ranges from painting and sculpture, assemblage to video through to performance and photography it promises to be a rich and inspiring experience.